Kyle Prosser joined First Western Properties in 2008. 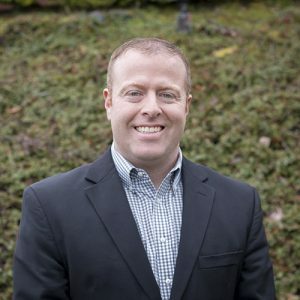 Prior to joining the company, Kyle earned his Bachelor’s Degree at Western Washington University and spent 2 years working at Colliers International. Mr. Prosser has significant experience in tenant representation in Pierce County. A short list of Mr. Prosser’s satisfied clients include: Chow Foods, The Rhein Haus, The Rush Company and Tourmaline Capital. He has valued his time at First Western Properties because of the people he gets to work with on a daily basis. Mr. Prosser is a college football official and loves coaching his boys’ athletic teams. He enjoys spending time with his wife and 2 boys – Mason and Dylan. He lives life based on the quote: “treat others as you wish to be treated”. Mr. Prosser’s favorite travel destinations are Lake Chelan and Costa Rica.